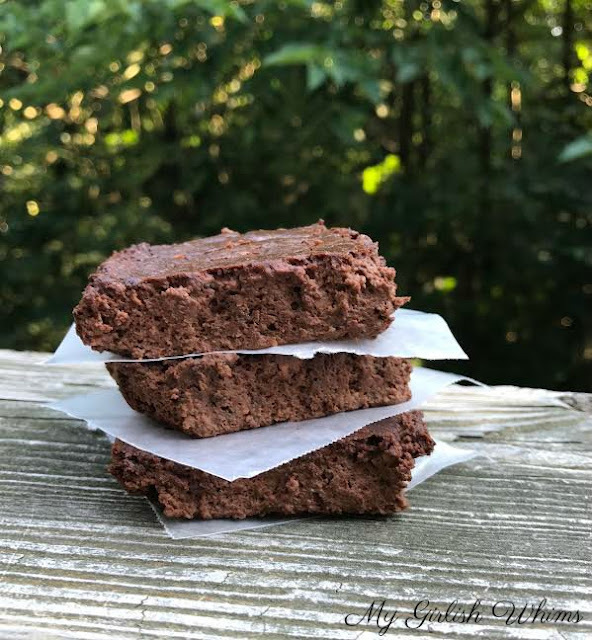 These high protein brownies are modified from blogger Chocolate Covered Katie and use gbutter high protein spread to give an extra peanut butter flavor without all the fat! I had such a fun Saturday this weekend spending the night in Philadelphia that Sunday night was feeling pretty depressing having to get ready to go back to reality today...so it was the perfect time to comfort myself by trying out a new brownie recipe. I was only gone one night but it felt like such a fun little vacation! My boyfriend and I went down to the city Saturday afternoon and hung out at Spruce Street Harbor Park which is a super cute outdoor pop-up park at the waterfront in Penns Landing in Philly. There are outdoor hammocks you can lay on, lawn games to play, food and drink vendors, and a floating barge you can go hang out on! We had a fun afternoon relaxing out in the sun and having a few cold ciders (me) and beers (bae) before walking back to our hotel to get cleaned up for an event that night. We stayed at the Hilton in Penn's Landing which is literally only steps away from the park and was SO NICE! Such good customer service and a great experience overall. We were going to a charity event at a rooftop bar that night for Gym Bully Clothing Co and we had a nice time hanging out at the hotel bar sipping some prosecco before heading out for the evening. We woke up Sunday morning and enjoyed the continental breakfast at the hotel and even though it was SUCH a beautiful day out my boyfriend had to fly to Nashvhille for work :( so he headed to the airport and I headed home alone to console myself by making these delicious brownies. I have had the recipe from Chocolate Covered Katie for her Chocolate Workout Brownies pinned ever since she first shared it last month and I have been DYING to try it! I mean, a brownie that is high in protein and actually decently healthy for you? Um yeah, obvi count me in for that one. I wanted to make a few adjustments to make them slightly more macro friendly though, and I'm SO happy with how they turned out! 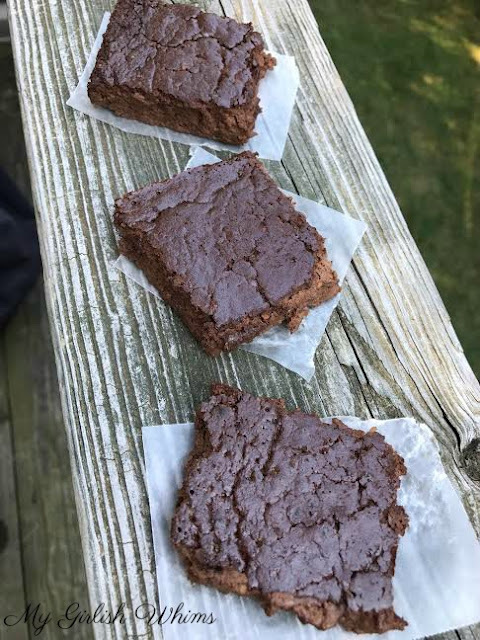 One brownie is just under 100 calories and packs 10 grams of protein! The secret to how I upped the protein while keeping the carbs and fat in check for these delicious chocolate squares? 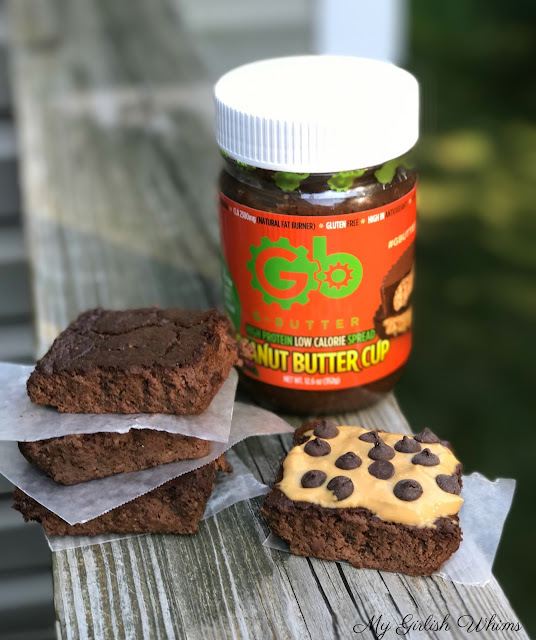 Instead of using a regular nut butter like the original recipe called for, I used a peanut butter cup version of gbutter! These spreads are SO GOOD. They come in different flavors and taste like a yummy nut butter but are much lower fat and higher protein than most regular butters. 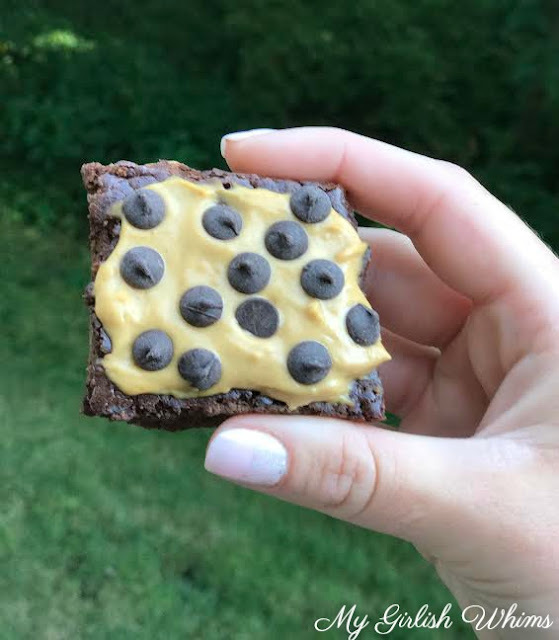 The brownies taste great on their own, but what's life without some fun toppings as well :) I mixed 6 grams of pb2 with caramel skinny syrup (affiliate links) and topped my brownie with the peanut butter and a few of lillys chocolate chips for a sweet treat that only added up to 128 calories with 12 grams of carbs, 5 grams of fat and 13 grams of protein. 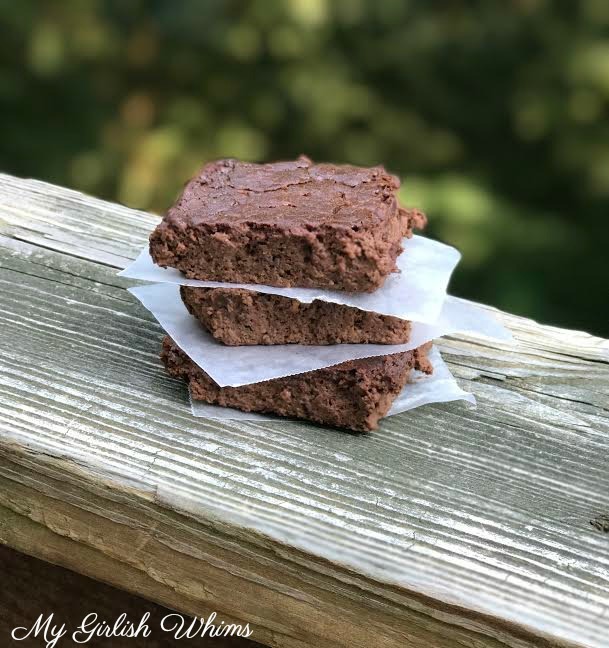 I may not be sipping champagne at the Hilton anymore...but at least I have a batch of these goey and fudgey healthy brownies to get me through the rest of the week! Each brownie comes to 98 calories with 8 grams of carbs, 3 grams of fat and 10 grams of protein. Preheat oven to 325 Degrees Line a 8x8 pan with parchment paper Combine all ingredients in a bowl and mix well Pour into pan and bake for 25 minutes Let cool, cut into 9 servings and eat alone or add toppings! Store extra brownies in the fridge or freeze. I love these brownies! Something to cure my brownie craving that I don’t have to feel guilty for!